We stayed at Celica hostel for 1 night. Although our train arrived very early in the morning, the reception guy told us that we could make ourselves comfortable downstairs and they brought us water. Would stay here again due to very friendly staff. Nice hostel, but seemed to only host big groups which doesnt suit the solo backpacker. It is a really nice hostel. 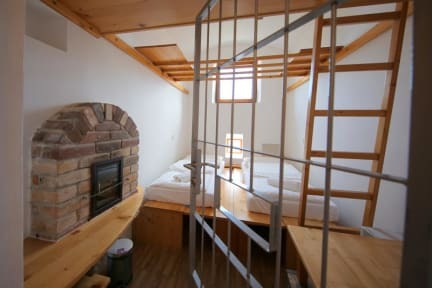 I book a 4bed dorm, which was small. The bathroom was really small and the floor would get wed and dirty. Other then that, staff was really helpful. They have a tour about the hostel, which was really nice. Nice location, reminded me a bit of Berlin. Echt een Top lokatie Parkeren gratis voor deur Personeel zeer vriendelijk En douche en toilet netjes De bbq voor nog geen 6 euro was ook top Enige minpuntjes - echt een waardeloos matras - heel erg warm op de kamer ( hadden een 2 persoons "cel" ) Ondanks de ventilator niet te doen .. The hostel is situated in a very nice place and very close to the city center! There is enough parking place and save as well. The dorms are ok but the bathroom was not clean at all. There is a kitchen but not well equipped. You can prepare something to eat but no glasses or cups for coffee or tee... The staff was very kind and could help me with my questions. It's a very big hostel and not quiet at all, but ok for one night to visit the city. 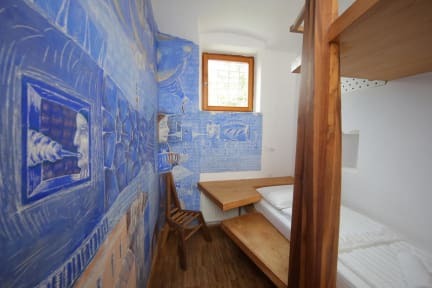 Good hostel, but not the best place of you travel alone and want to meet people. Very helpful staff! Not really a backpacker hostel in my opinion. Quite some families around this place. Met only 6 fellow travellers in the hostel bar which is actually more a restaurant. I'd prefer Tresor hostel as its in the city centre it has a 24hr bar and quite a lot of backpackers. Still had a nice stay in Celica though!